A New England native, Chris grew up in a coastal Massachusetts town fishing both commercially and recreationally. Being raised on the water afforded him the opportunity to be exposed to a wide range of fisheries and methods to include commercial fishing on gillnetters, draggers, long-liners, and lobster boats. Chris’s rod & reel experience is largely on charter vessels, and recreationally, fishing in North Atlantic waters for pelagic species. Chris holds a BS in Marine Engineering from Maine Maritime Academy and a MA in Diplomacy from Norwich University. He has over 20 years’ experience in the commercial marine industry, leveraging his background in commercial fishing and as a USCG licensed Chief Engineer and Master working for Caterpillar Marine. In this position, Chris is responsible for product support for the east coast territory of North America and has experience with global initiatives focused on global shark research, environmental sustainability, corporate sponsorships, and education. 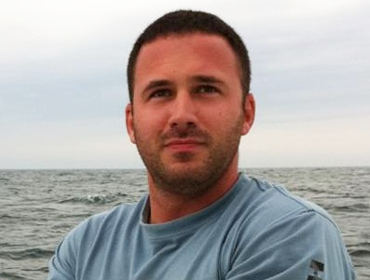 Chris currently serves on the Board of Directors for Atlantic White Shark Conservancy (www.atlanticwhiteshark.org) as well as on the Board of Directors for Little Steps Learning Center, in Scituate, MA. He is an avid traveler, fisherman, and outdoorsman.